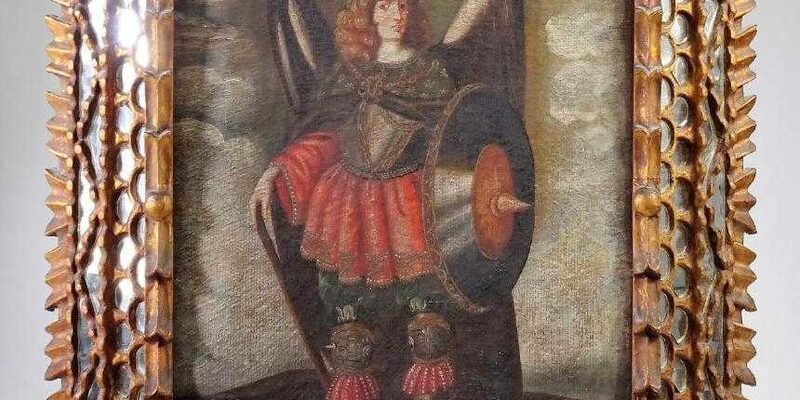 Spanish Colonial 16th C Oil on Canvas of Archangel Miguel (The Archangel Michael). The original (c.1645) is on display at Monasterio de la Conception in Lima, Peru. Restretched canvas.